The S&S Variable Pressure Clutch Plate is the most cost effective kit for upgrading your H-D® stock clutch without any modifications. 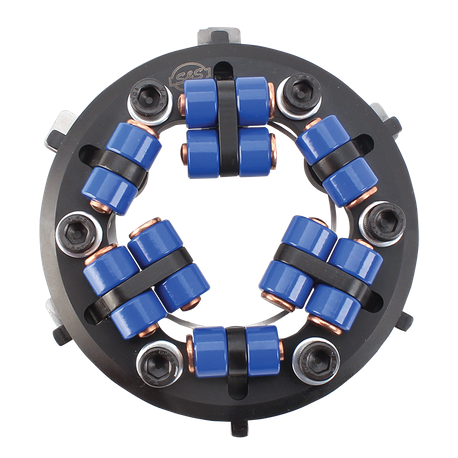 Up to 40% more pressure for stronger clutch engagement.It works like a lock up clutch with increased torque capacity: strength of engagement increases with RPM. Simple 10 minute installation. Fits behind a stock derby cover and primary cover - No modification required, and can be used with cable or hydraulic clutch controls. "Does not fit: 2013 and later CVO™ and Tri-Glide™, 2015 and later Ultra Limited Low and Electra Glide Classic Low Models with new H-D® Assist and Slipper Clutch: 3 Stud Clutch Hub Non-stock derby cover (including any special or 2003 anniversary cover) and 3 hole derby covers may require a derby"